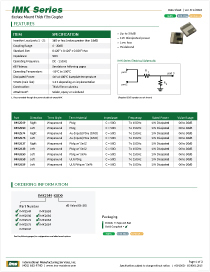 The IMK Series Resistive Couplers provide the sensing function over a broad range of frequencies in a compact, easy to use component. With alumina construction, insertion loss is comparable to more complicated frequency sensitive couplers. 1) Resistive areas are constant and are specified for the lowest dB value ensuring that all couplers easily handle the incident RF power. 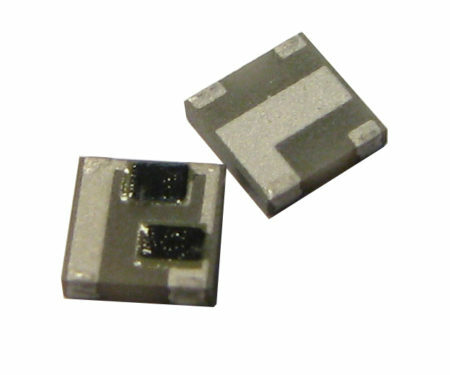 2) High inductance lines minimize ground path leakage and maintain low through loss. The above constraints assure repeatability, reliability and optimal performance. The design and construction of these couplers is simplified to minimize cost and maximize efficiency.